I am a huge fan of top professional bike racing, an addict. I love watching the races on TV. My wife has also become an avid fan, and we enjoy watching the racing together. I will record a race, then after work and dinner, we will sit down, usually around 9-10 p.m., and stay up till midnight or 1 a.m. watching. So you know we are serious fans. So it was that in May we found ourselves sitting down each night to catch that day’s stage of the Giro d’Italia. It was a very exciting race, with all eyes focused on the main protagonists, Vincenzo Nibali and Alejandro Valverde. But as the mountain stages unfolded, it was Steven Kruijswijk who at first seeped, and when he gained the pink jersey burst, into our consciousness. He likely had the overall victory wrapped up, till his tragic loss of control and spectacular crash onto the snow bank on Stage 19. We felt his agony, or at least our agony for him, as victory rode away, and he eventually slipped off the podium to finish in 4th place. Meanwhile, this Giro also gave us a thrilling victory by Nibali who had been falling behind on the early mountain stages, only to rally and stage a spectacular comeback to grab the pink jersey on the penultimate stage. And while we agonized for Kruijswijk, we reveled in Nibali’s victory. Well, sort of. Let me explain. In 2006, Operación Puerto scandalized professional cycling, leading to several top riders, including favorites Jan Ulrich and Ivan Basso, being withdrawn from the Tour de France just prior to its start. Then, Floyd Landis, America’s newest star and heir apparent to Lance Armstrong, was doing well and took the yellow jersey. 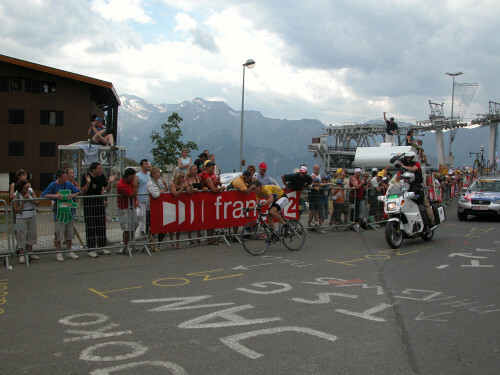 However, on Stage 16, a mountainous ride to La Toussuire, he was dropped, losing serious time and dropping out of the top 10. The next day, however, he stormed back with a 120 kilometer solo attack to win Stage 17, a very mountainous race finishing in Morzine. 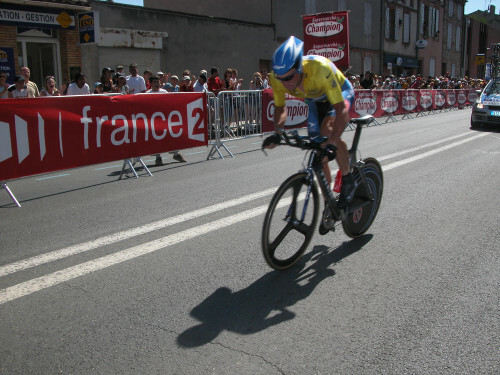 He finished 5'42” ahead of the rider coming in second, jumping back to third place overall and positioning himself to retake the yellow jersey in the final time trial, which he did. It seemed an unbelievable comeback. Indeed, in the end it was unbelievable, as Landis tested positive for, and has since admitted, taking a synthetic steroid that fueled his remarkable victories. Since then, of course, there was the United States Anti-Doping Agency investigation which eventually nailed or had confessions from nearly every top American rider, including Lance Armstrong. And of course, there have been continued instances of professional riders across the board being caught doping. The sad effect of all this is simple: When my wife and I observe a remarkable turnaround such as that of Nibali in thus year’s Giro, we cannot help but harbor suspicions. I mean seriously. Nibali was getting dropped on several mountain stages, till he has a sudden turnaround and starts lowering the hammer on everyone. I want to believe he is racing clean, and really do hope so. But doubt has raised its ugly head. Following the Giro, there was the Tour de Suisse. America’s current darling, Tejay Van Garderen, was hanging tough, with a good shot at the overall victory. Until Stage 6, that is, when he came unhitched and lost enough time to pretty much put him out of contention for overall victory. Still, the very next day, he powers away from the field to win the stage. Unlike Landis, his margin was not nearly enough to put him squarely in contention for the overall. But the single day turnaround was somewhat stunning. Again those nasty suspicions arise. Well, that is the nature of trust. We generally like to trust each other, and will usually do so, at least to a certain extent. But burn that trust, and it is not easily given a second time. As the saying goes: Fool me once, shame on you; fool me twice, shame on me. I like Tejay Van Garderen. He does seem to struggle to really stay at the top, and except for the Tour de Suisse, there is really nothing to raise my suspicions. Same with Nibali. He had a fantastic Tour de France in 2014, with an especially great performance and great bike handling skills on the cobbles in Stage 5 which, in my opinion, is where he really won the Tour. He has been a consistent winner, though his star has seemed to wain since that 2014 Tour victory. And I have not observed anything (barring a little car-towing incident that got him tossed from last year’s Vuelta a España) to make me believe he is a cheater. So, I choose to believe they and most others are clean. I want to believe. I want to watch the racing and enjoy the fine and, yes, even somewhat unbelievable performances, and believe them. I love cycling and the excitement of professional bike racing. I am extending my trust a second time now, and hope I am not burned. But still, when I see a great performance, there will be that nagging suspicion. And I really dislike that, especially in this sport that I love.